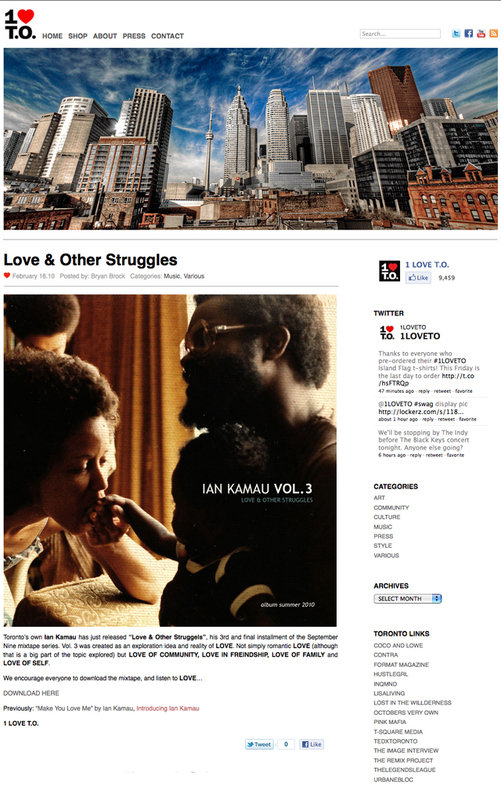 “Toronto’s own Ian Kamau has just released “Love & Other Struggles”, his 3rd and final installment of the September Nine mixtape series. Vol. 3 was created as an exploration idea and reality of LOVE. Not simply romantic LOVE (although that is a big part of the topic explored) but LOVE OF COMMUNITY, LOVE IN FRIENDSHIP, LOVE OF FAMILY and LOVE OF SELF.